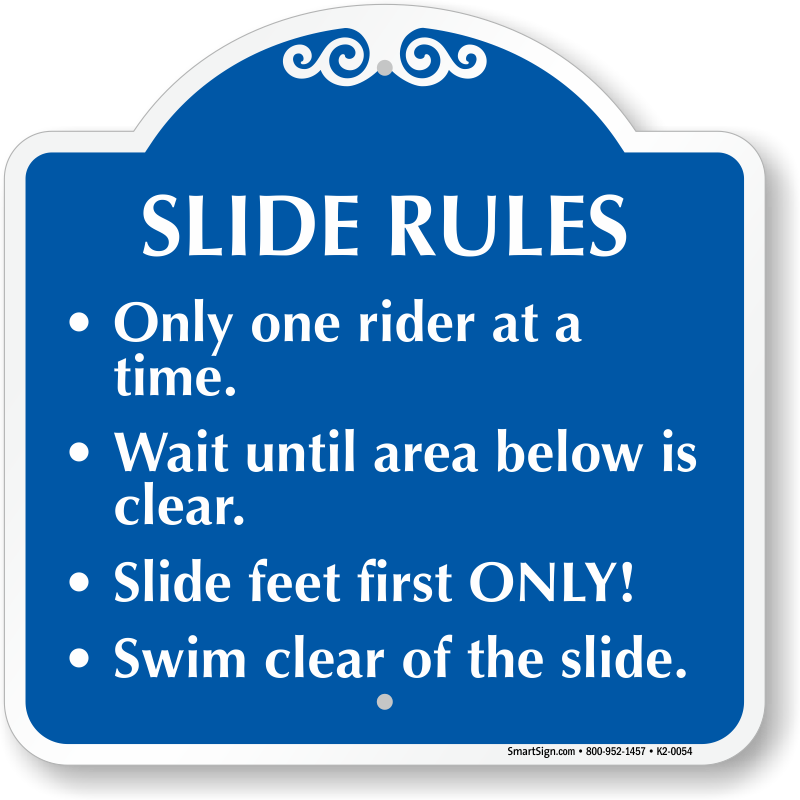 One of the best things to do in the summer is to go on water slides at the water park. 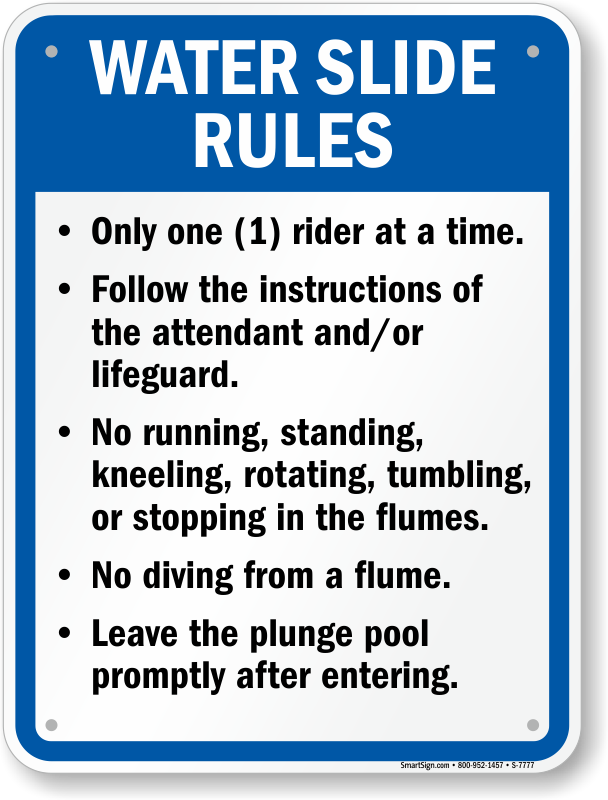 To maintain those great times, it's important to follow the rules. 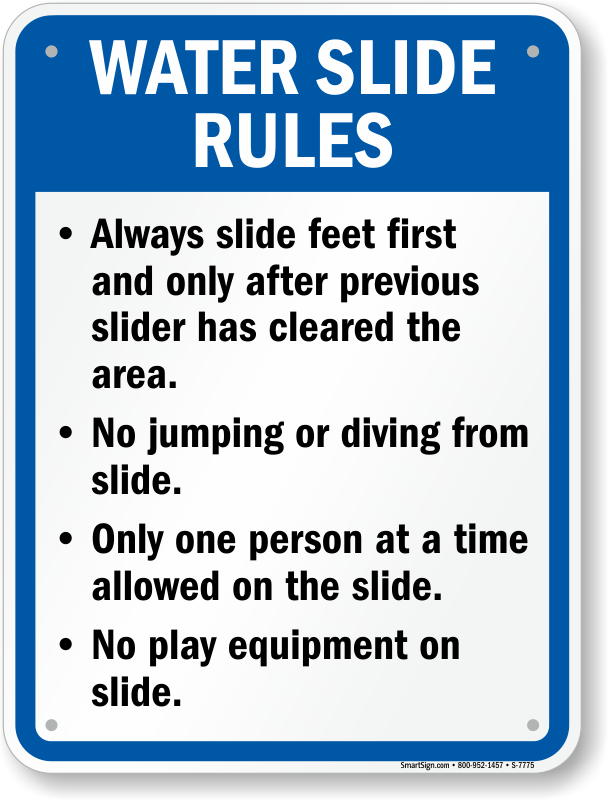 Don't think of these signs as fun blocks--think of them as techniques to help you have an even better slide! 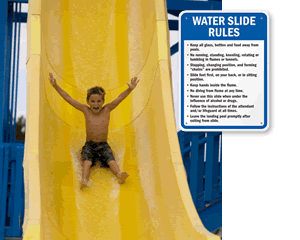 • We know that water slide rules vary with each state, which is why we are providing you with state compliant water slide rules based on where you live. 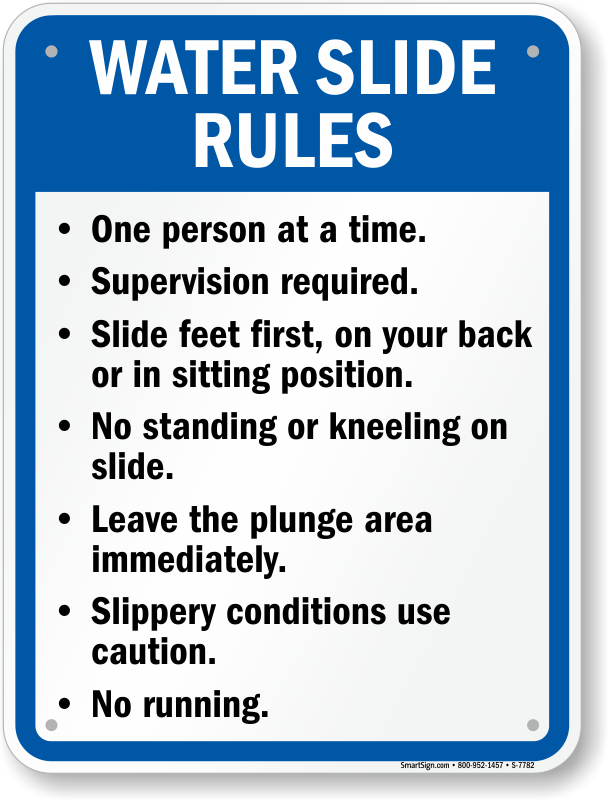 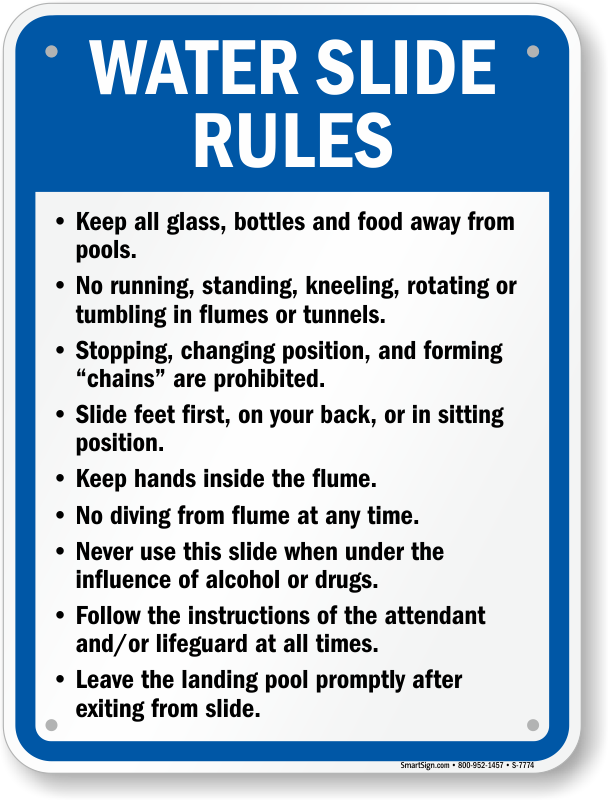 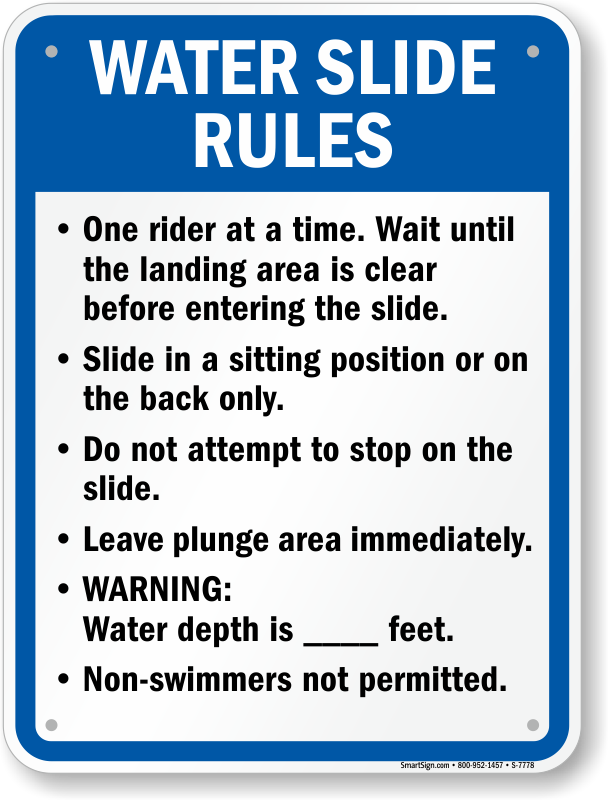 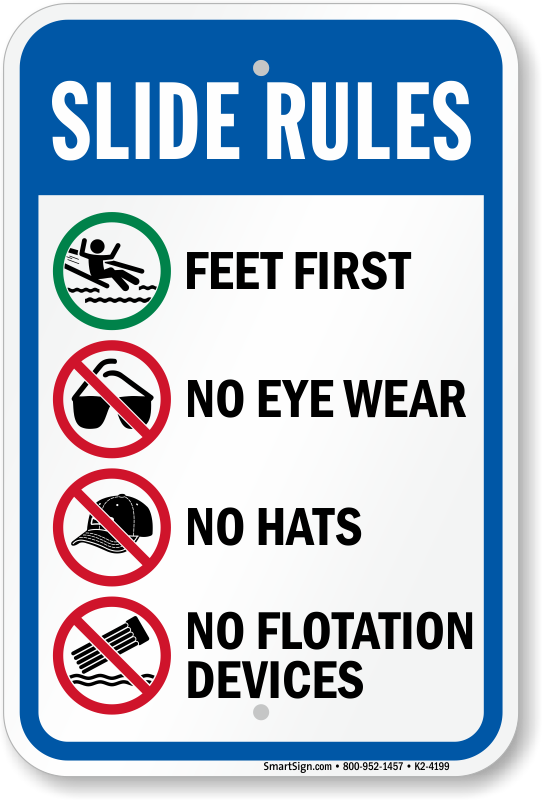 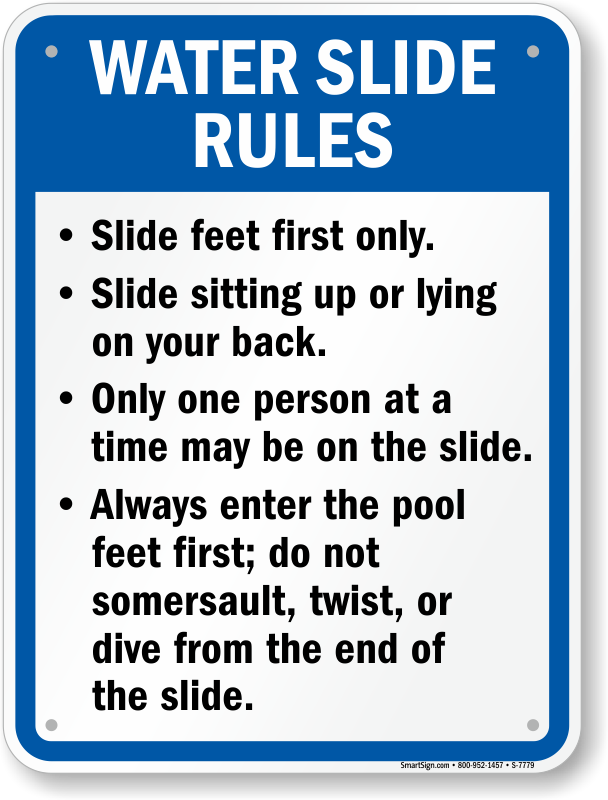 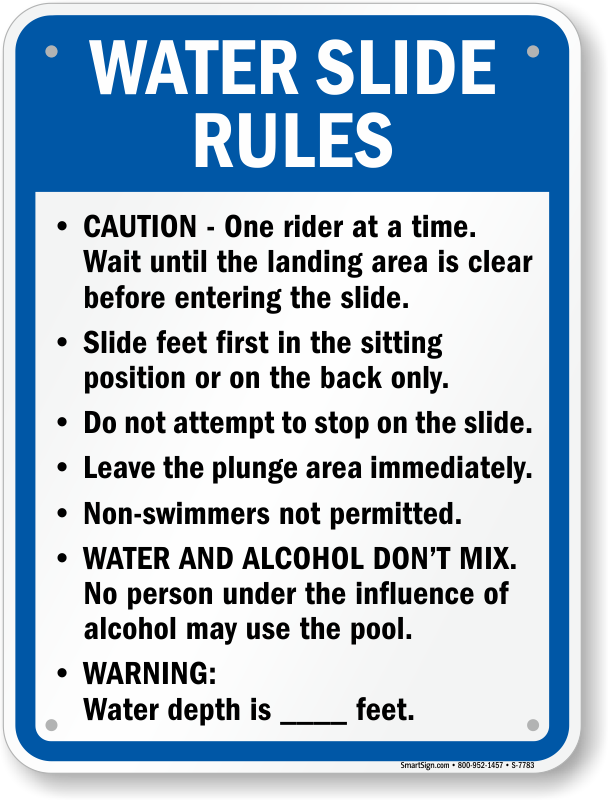 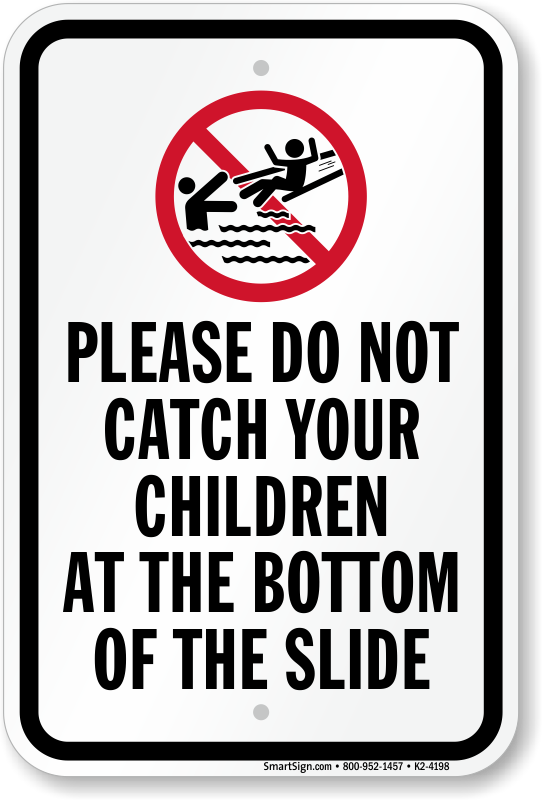 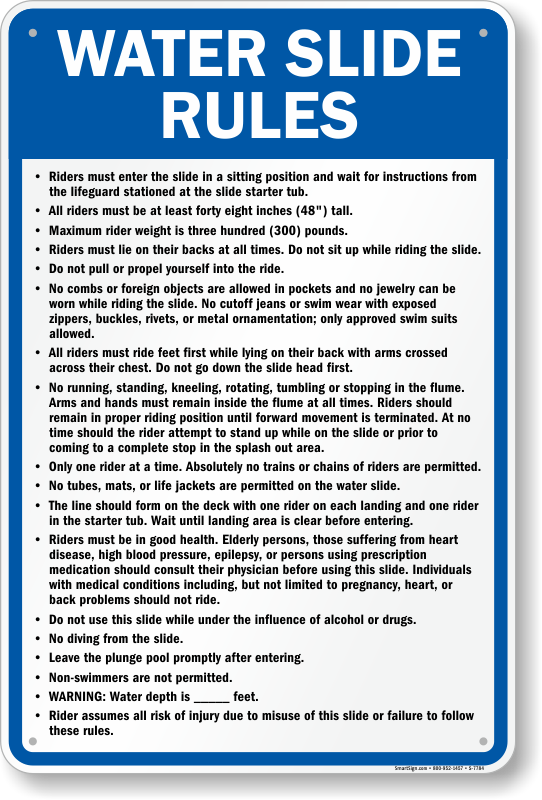 • Water Slide Rules Signs are made from 3M graphics that are highly visible through all weather and distance. 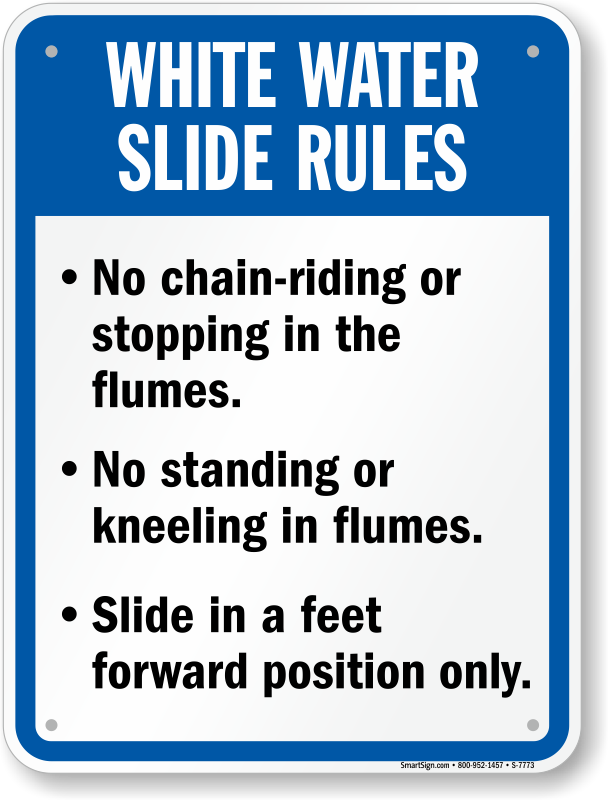 • These signs are comprised of durable aluminum that will last through weather and water damage. 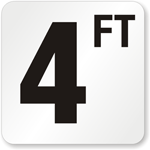 • Hover your mouse over our signs for more details or ask our Live Help any questions. 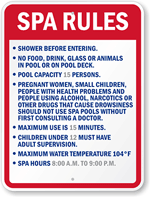 Baby Pool Rules Signs clearly state the rules and remind parents and guests how to keep children safe. 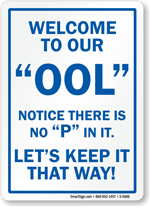 Click to explore.